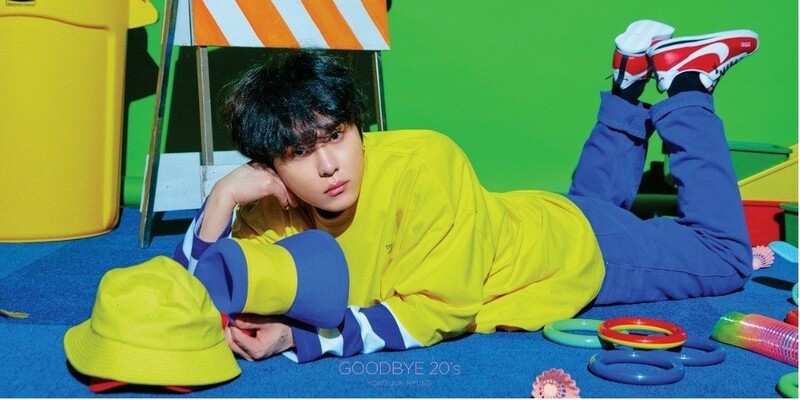 Highlight's Junhyung dropped the tracklist for 'Goodbye 20's'. Following the colorful teaser images, Junghyun released the tracklist�for his very 1st solo album, which is packed with�a total of 11 tracks including "Go Away", "Warm", "Sudden Showers" feat. 10cm, "Collection" feat. Baek Ah Yeon, "I Love You", "Feel Ur Love", "Tolerable", "Goodbye 20's", "Too Much Love Is Harmful" (CD only), and "Still" feat. Heize (CD only).